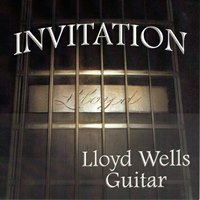 Description: One may not have heard of Lloyd Wells, but he is a consummate 7-string guitarist who grew up in Laurel Mississippi, the same town where another notable jazz guitarist, Mundell Lowe, grew up. With encouragement from Lowe, he moved to New York City in 1964 and did a lot of studio work, including The Merv Griffin Show and The Tonight Show Starring Johnny Carson. He also worked with Peggy Lee and Rosemary Clooney. In 1973, Wells moved to Nashville, Tennessee, where he took a job as arranger and music director for Opryland USA theme park, remaining in that position for 23 years. His career trajectory did not lead to many albums under his own leadership, but he released a duo album with Lowe, titled This One's For Charlie, in 2001 from Azica Records. Now, this splended solo album released by BluePort Jazz, proves just how great a guitarist he is. Gorgeous touch and tone, subtle and effective arrangements, and impeccable execution. In the words of BluePort producer Jim Merod, "This is an album dedicated to great songs, impeccable musicianship and the never-ending value of melodic beauty." Released by BluePort Jazz in 2014.